Flynn McGarry, the young subject of the documentary Chef Flynn, taught himself to cook at a very young age through cookbooks and YouTube videos. When he was 11 years old, he turned his family’s living room into a makeshift restaurant, with the help of his mother and his friends. At first, he would cook meals for family and friends who were invited over to their Los Angeles home, but after gaining attention for his prodigious culinary talents, he started serving up elaborate $160 a plate tasting menus for more and more people, gaining the attention of prestigious chefs who invited him to shadow in their kitchens. But as Flynn starts to receive increasing fame and media attention as a teenager, and prepares for his New York debut, he also faces backlash from some of his critics, who insist that he doesn’t really have the experience at such a young age to call himself a true chef. Because his mother is a filmmaker, who often has her camera trained on her son, Flynn’s life and meteoric ascent into the culinary world has been documented from a young age, and director Cameron Yates uses this footage to help assemble a highly enjoyable glimpse into the life of this young talent. 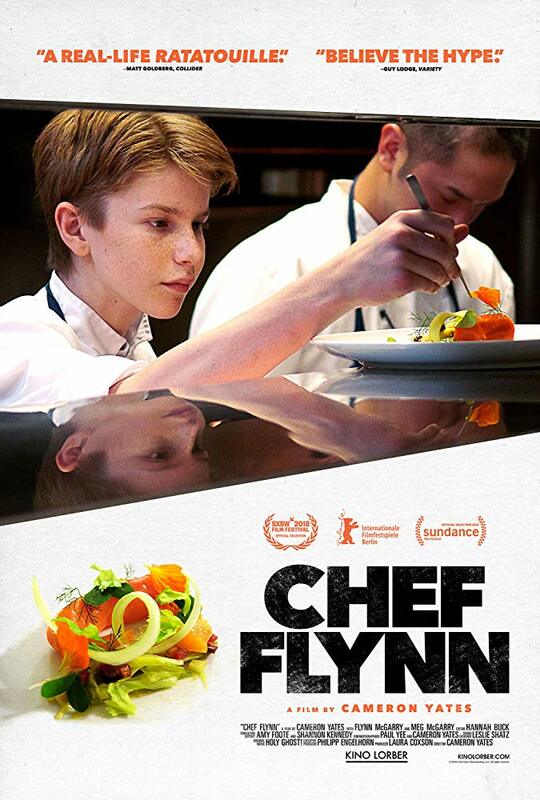 While Chef Flynn is a somewhat glossy portrait of him, the film also raises some interesting questions about the challenges of finding fame at a young age, while offering a breezy and entertaining look at both prodigious talent and the promising next generation of the fine dining scene. It’s an often delightful film, and a must watch for aspiring chefs. Chef Flynn is now playing in limited release at the Hot Docs Ted Rogers Cinema in Toronto, tickets and showtimes can be found right here.